The ‘Kenguiwe’ is still revered and admired. This great flight was always venerated by its cunning, its strength, its beauty and intelligence. The stories made by Manuela Omari Ima Omene in ‘Saberes Waorani and Yasuní National Park: Plants, Health and Welfare in the Amazon of Ecuador’ reach the ‘kenguiwe’ (eagle harpy), a majestic and highly respected bird among the Waorani. “One of our most revered symbols is ‘kenguiwe’. She is admired by us both for being majestic and warning us when there is danger, as for having extraordinary ability to hunt through her strength, speed and cunning, “he writes. Manuela Omari, who bears these names in honor of Manuela Sáenz and her wise, warrior and working grandmother, says that the crowns and war bracelets are generally adorned with feathers of ‘kenguiwe’ for the protection and strength that this bird grants. These ornaments are complemented by feathers of other birds. To have or possess objects of animals and plants was to get the skill, the strength and the speed of them, indicates Omari. That is why the Waoran warriors adorned their body and their weapons mainly with feathers of ‘kenguiwe’ to receive the qualities and skills that she and the other animals possess. HEREDAD. The feathers of the harpy eagle adorn the crowns and spears of the Waoranis. When a wao owns a ‘keinewa’ in the house she is fed and respected as a divinity, considering this relationship as ‘a manifestation of our kinship and alliance with her as we feel like an autonomous, predatory, superhuman and sovereign couple,’ says the woman . 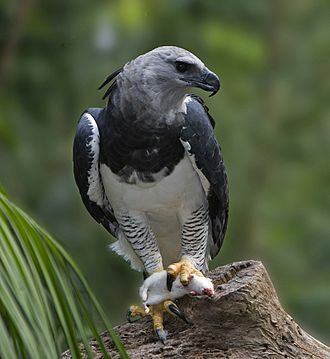 It is said that the harpy eagle was found 3,000 years ago among the gods of the Olmecs, a town that, according to history, settled during the Preclassic or Formative Period in what is now southern Veracruz and in Tabasco (Mexico ) And which is considered one of the oldest that populated and flourished in the American continent. At present, the harpy (Harpy harpyja) is a symbol of the biodiversity of Ecuador, for its value in the populations of the Amazon. This is a bird of prey with a large size and is the second largest eagle on the planet. The first is the Philippines. The harpy is listed as endangered by the loss and fragmentation of its habitat. In Ecuador, his condition is ‘vulnerable’. The wao tededo is the mother tongue of the waoranis. What is known of their customs was transmitted by oral version.